The Knitting Pirate » In Which the Pirate Shows Singles. « In Which the Pirate Begins Anew. In Which the Pirate Shows Singles. 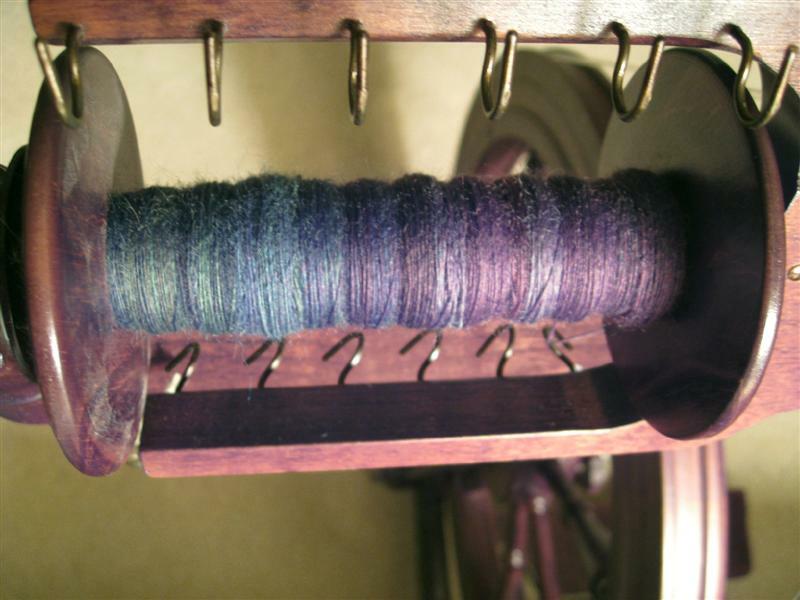 No, the bobbins aren't *that* big - it's that I haven't had nearly enough time to spin more. This is just under an ounce of singles. Hopefully this weekend I will have several uninterrupted hours that I can put towards yarn-making! Pirate-Husband couldn't keep his feet off the treadles when I showed him my progress last night. I'm not fooling myself into thinking that this means he wants to learn to spin; I think he was just curious about how the wheel works. On one hand, it would be pretty neat if we shared the hobby. On the other, he might want to steal from my fiber stash! Can't have that, right? This entry was posted on Friday, June 19th, 2009 at 07:16 and is filed under spinning. You can follow any responses to this entry through the RSS 2.0 feed. Both comments and pings are currently closed.